A senior midwife, Lesann Dwyer, CNM, MSN, has been a leading member of AdventHealth Medical Group’s midwifery team since 2006. She is known for her compassion and extensive capabilities within the field of OB-GYN and midwifery, as well as for her focus on patient education and communication. 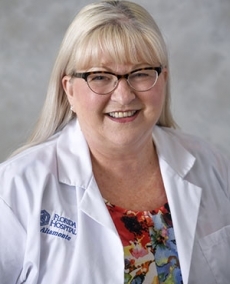 Prior to becoming a certified nurse-midwife in 1999, Lesann became a registered nurse (RN) in 1981 and acquired experience in various specialties including intensive care, cardiology, pediatrics and labor and delivery. She is an active member of the American College of Nurse-Midwives and a Lt. Colonel in the United States Army’s Individual Ready Reserve. Note:- The list below is for reference purposes only and is subject to change. Please check with your health plan to confirm that Lesann Dwyer, CNM is included before scheduling an appointment.